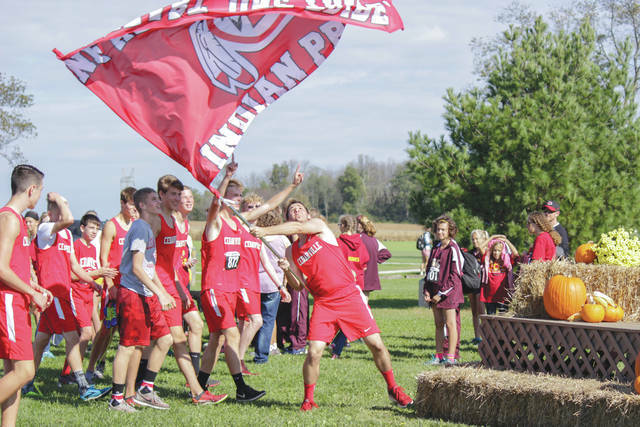 Members of the Cedarville High School boys cross country team wave their team flag with pride as they head to the awards platform to accept their championship, Oct. 14 at Cedarville University. 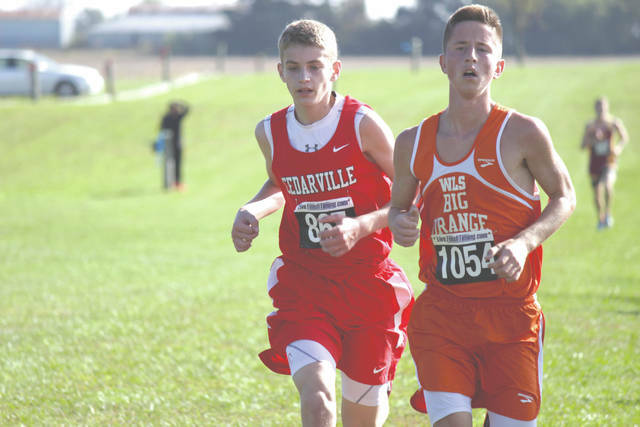 Cedarville’s Trent Koning (left) passes West Liberty-Salem’s Noah Smith for third place overall in the Oct. 14 Ohio Heritage Conference boys cross country championship race at Cedarville University. Indians teammate Ethan Wallis finished second overall.